Park View mr. braxton Bar&Kitchen coming to Park View in Mid-May!! 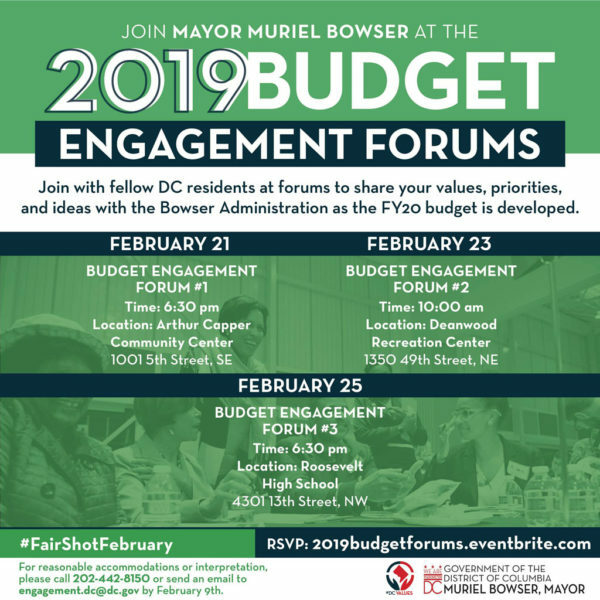 Please join Mayor Muriel Bowser and members of her cabinet at one of the 2019 Budget Engagement Forums. Mayor Bowser wants to hear from you about your values, priorities and ideas as the fiscal year 2020 budget is formulated.